“And He said … My servant Moses is not so, who is faithful in all My house” (Num 12:6–7). “And Jesus answered and said to him, … And I say also to you, That you are Peter, and on this rock I will build My church; and the gates of hell shall not prevail against it. And I will give to you the keys of the kingdom of heaven: and whatever you shall bind on earth shall be bound in heaven: and whatever you shall loose on earth shall be loosed in heaven” (Mat 16:17–19). “Woe be to the shepherds of Israel that do feed themselves! should not the shepherds feed the flocks? You eat the fat, and you clothe you with the wool, you kill them that are fed: but you feed not the flock. The diseased have you not strengthened, neither have you healed that which was sick, neither have you bound up that which was broken, neither have you brought again that which was driven away, neither have you sought that which was lost; but with force and with cruelty have you ruled them. And they were scattered, because there is no shepherd: and they became meat to all the beasts of the field, when they were scattered. My sheep wandered through all the mountains, and on every high hill: yes, My flock was scattered on all the face of the earth, and none did search or seek after them” (Eze 34:2–6). “But woe to you, scribes and Pharisees, hypocrites! for you shut up the kingdom of heaven against men: for you neither go in yourselves, neither suffer you them that are entering to go in. Woe to you, scribes and Pharisees, hypocrites! for you devour widows’ houses, and for a pretense make long prayer: therefore you shall receive the greater damnation. Woe to you, scribes and Pharisees, hypocrites! for you compass sea and land to make one proselyte, and when he is made, you make him twofold more the child of hell than yourselves” (Mat 23:13–15). The work carried out by the one who is used by God is in order to cooperate with the work of Christ or the Holy Spirit. This man is raised up by God among man, he is there to lead all of God’s chosen ones, and he is also raised up by God in order to do the work of human cooperation. With someone such as this, who is able to do the work of human cooperation, more of God’s requirements toward man and the work that the Holy Spirit must do among man can be achieved through him. Another way of putting it is like this: God’s aim in using this man is so that all those who follow God can better understand God’s will, and can attain more of God’s requirements. Because people are incapable of directly understanding God’s words or God’s will, God has raised someone up who is used to carry out such work. 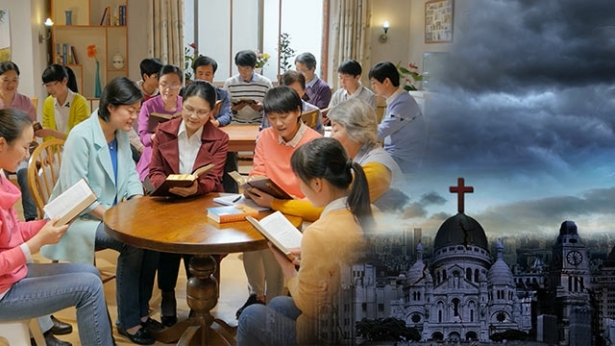 This person who is used by God can also be described as a medium by which God guides people, as the “translator” who communicates between God and people. … In terms of the substance of his work and the background of his use, the man who is used by God is raised up by Him, he is prepared by God for God’s work, and he cooperates in the work of God Himself. No person could ever stand in for his work, it is human cooperation that is integral to the divine work. … He who is used by God, on the other hand, is someone who has been prepared by God, and who possesses a certain caliber, and has humanity. He has been prepared and made perfect in advance by the Holy Spirit, and is completely led by the Holy Spirit, and, particularly when it comes to his work, he is directed and commanded by the Holy Spirit—as a result of which there is no deviation on the path of leading God’s chosen ones, for God surely takes responsibility for His own work, and God does His own work at all times. Why is it said that the practice of those in the religious churches is outdated? It is because what they put into practice is divorced from the work of today. 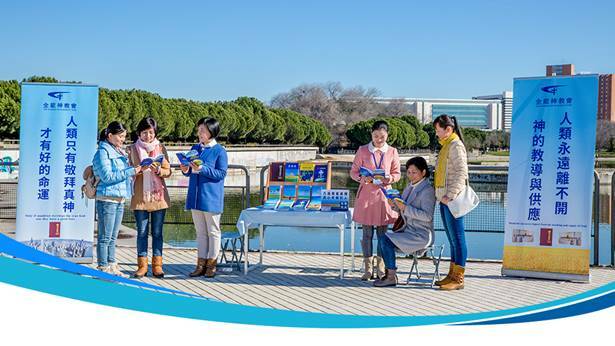 … The work of the Holy Spirit is always moving forward, and all those who are in the stream of the Holy Spirit should also be progressing deeper and changing, step-by-step. They should not stop at a single stage. Only those who do not know the work of the Holy Spirit would remain amongst His original work, and not accept the new work of the Holy Spirit. Only those who are disobedient would be incapable of gaining the Holy Spirit’s work. If the practice of man does not keep pace with the new work of the Holy Spirit, then the practice of man is surely dissevered from the work of today, and is surely incompatible with the work of today. Such outdated people as these are simply incapable of accomplishing God’s will, much less could they become those final people that will stand testimony to God. The entire management work, furthermore, could not be concluded amongst such a group of people. For those who once held to the law of Jehovah, and those who once suffered for the cross, if they cannot accept the stage of work of the last days, then all that they did will have been in vain, and useless. The clearest expression of the Holy Spirit’s work is in embracing the here and now, not clinging to the past. Those who have not kept up with the work of today, and who have become separated from the practice of today, are those who oppose and do not accept the work of the Holy Spirit. Such people defy the present work of God. Just look at the leaders of every denomination—they are all arrogant and self-righteous, and they interpret the Bible out of context and according to their own imagination. They all rely on gifts and erudition to do their work. If they were incapable of preaching anything, would those people follow them? They do, after all, possess some knowledge, and can preach on some doctrine, or know how to win over others and how to use some artifices. They use these to bring people before themselves and deceive them. Nominally, those people believe in God, but in reality they follow their leaders. If they encounter someone preaching the true way, some of them say, “We have to consult our leader about our faith.” Their faith has to go through a human being; is that not a problem? What have those leaders become, then? Have they not become Pharisees, false shepherds, antichrists, and stumbling blocks to people’s acceptance of the true way? If you have believed in God for many years, and yet have never obeyed Him or accepted all of His words, but instead asked God to submit to you and act in accord with your notions, then you are the most rebellious of persons, and you are an unbeliever. How is one such as this able to obey the work and the words of God that do not conform to the notions of man? The most rebellious person is one who intentionally defies and resists God. He is the enemy of God and the antichrist. Such a person constantly bears a hostile attitude toward the new work of God, has never shown the smallest intention of submitting, and has never gladly shown submission or humbled himself. He exalts himself before others and never shows submission to anyone. Before God, he considers himself the most proficient in preaching the word and the most skillful in working on others. He never discards the “treasures” already in his possession, but treats them as family heirlooms for worship, for preaching about to others, and uses them to lecture those fools who idolize him. There are indeed a certain number of people like this in the church. It can be said that they are “indomitable heroes,” generation after generation sojourning in the house of God. They take preaching the word (doctrine) to be their highest duty. Year after year and generation by generation, they go about vigorously enforcing their “sacred and inviolable” duty. None dare touch them and not a single person dares openly reproach them. They become “kings” in the house of God, running rampant as they tyrannize over others from age to age. This pack of demons seeks to join hands and demolish My work; how can I allow these living devils to exist before My eyes? Previous：What are the essential differences between the work of God and the work of man? What is doing one’s duty?